Currently 68 full hookups with 30 and 50 AMP services. 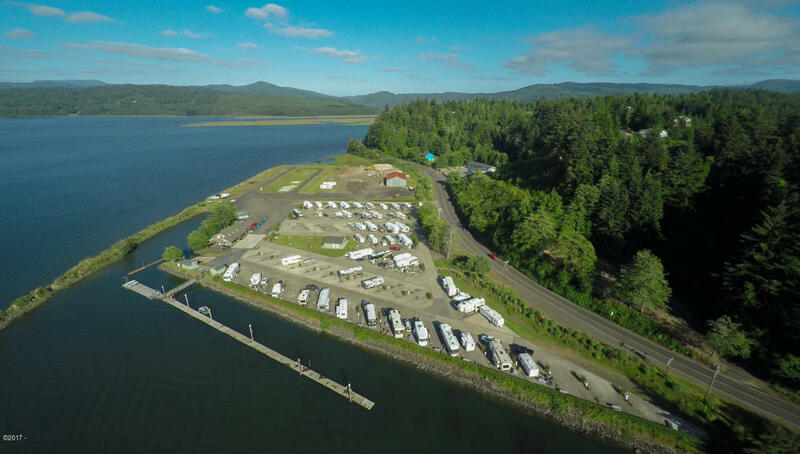 28 waterfront dry camp spaces (no services). 1820 sq ft office and restroom building with living quarters above(one bedroom, one bath). Men's and women's handicap restrooms and showers. Large laundry building, Single garage building for maintainance. Marina includes docks, launch area. full service spaces are pull trough with some buddy spaces that have sewer hookups on both ends. Addition acreage for expansion to 122 spaces, plus an additional 3 acres for commercial use.